Essendon is delighted to announce SOUR PATCH as the official co-major partner of the Bombers’ esports team. The partnership will see the SOUR PATCH logo take pride of place on the chest of the Bombers team for Split 1 and Split 2 of the 2019 OPL season. Part of Mondelēz International’s brand family, SOUR PATCH is a young, disruptive brand with significant growth in recent years in Australia and across the world. Chief commercial officer Justin Rodski said it was another example of the power and relevance of esports in today’s market, and how non-endemic brands are looking to harness that power. “The alignment between SOUR PATCH and Bombers esports was a clear one and something we are looking very forward to showcasing throughout the partnership,” Rodski said. SOUR PATCH will feature across all key assets for the Bombers esportd team, with other co-major partner Jam Audio. Mondelēz International’s associate director for Candy and Meals, Rohin Rosman, said the partnership was an exciting opportunity for both parties. “At Mondelēz International, we put consumers are at the heart of everything we do. The SOUR PATCH target consumer fits perfectly with the esports demographic, so we’re excited to be working with Essendon in this new and exciting channel,” Rosman said. 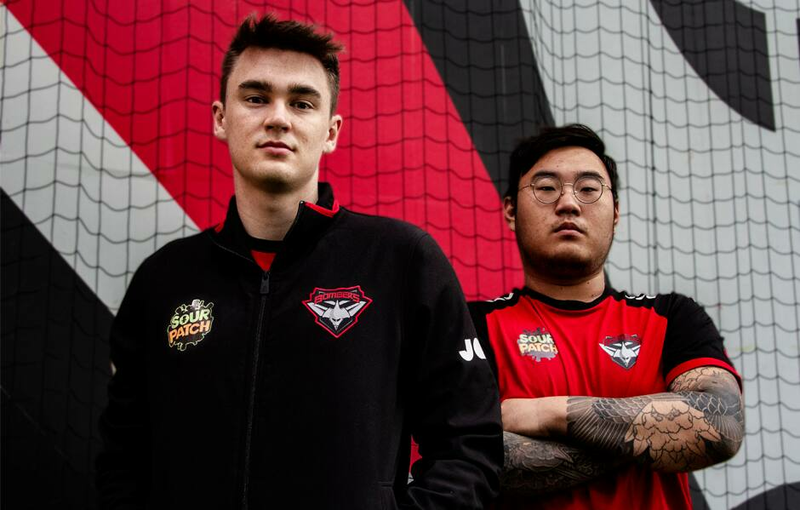 The Bombers are marching towards the 2019 OPL Split 1 Grand Final against Order this weekend, currently on top of the OPL standings with fourteen wins and just two losses. Bombers captain Jake ‘Rogue’ Sharwood said the team was looking forward to showing what it can do in the final weeks of the season. “We have had a really strong two-thirds of the season so far, and will keep working just as hard to ensure we are in great shape heading into the Gauntlet,” Rogue said. The Bombers will compete in the OPL on Friday and Saturday evening. To watch every game live on Twitch, click here.